In February 2013, the 8th WACAP Forum was held in Dublin, Ireland on the theme of Making Cities Smart, Safe and Sustainable. The Forum explored the use of smart technologies and performance measurement systems that can contribute to sustainable development and the evolution of innovative city approaches to promote safety, with a key focus on poverty reduction. The event was expected to bring together 1,000 high level delegates, including mayors, municipal civil servants, innovators at the forefront of developing smart technologies and police officials with civil society, women’s organizations, and NGOs specialized in poverty reduction, safety, prevention and access to services. Alongside the Forum, an Expo will showcase products, services, tools, and programmes that cities can harness to develop more effective and integrated strategies in addressing safety, sustainable development and poverty in urban areas. A smart and safe city is one which leverages multi-sectoral partnerships and technology to ensure that economic, social, political, and cultural rights are guaranteed for all. Smart cities – with efficient management systems, more effective and sustainable practices, including better planning which pays close attention to improving accessibility as well as to age, gender, ethnicity, among others – can help to prevent and reduce poverty, social exclusion, urban crime and violence, and environmental degradation. Ireland has confronted many development challenges successfully and has a deep tradition with poverty alleviation efforts worldwide. Its history, innovations and clear vision of urban living in the 21st century makes Dublin the ideal venue to learn, share experiences, and advance the attainment of the MDGs within the urban context. As the host city, Dublin will demonstrate how it is working with industry and academia to develop a research-driven cluster which improves the quality of living for all in the urban environment, to address the development of Urban Efficient Systems through smarter technology. 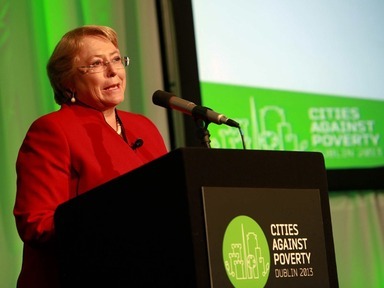 Speaking at the 8th Forum World Alliance of Cities Against Poverty (WACAP) in Dublin yesterday, executive director of UN Women Michelle Bachelet explained how technology is helping the effort to build safer cities. “One message that has been highlighted over and over again in looking forward is that we can no longer afford to hold back half the population,” she told delegates, as she mapped out the progress of the UN’s Global Safe Cities Initiative, which works to increase safety, reduce violence and mobilize and empower women’s groups, and youth and children’s advocates to shape their urban environment. “We know that smart cities recognize that women’s equal participation, equal opportunities and equal rights are essential to eradicating poverty and achieving sustainable development,” Bachelet said. Technology is playing an important role in the initiative, which works in 20 cities worldwide. That number will now rise to 21, as Dublin Lord Mayor Mr Naoise Ó Muirí announced at the conference that Dublin is joining the UN Women Safe Cities Global Initiative. “A targeted and effective response requires local diagnostics,” said Bachelet. “To make cities safer we place a strong emphasis on taking an evidence-based approach, and taking advantage of technologies that enhance data collection, monitoring and evaluation. For this reason, UN Women has teamed up with Microsoft “to find ways to better use mobile technology to document, prevent and respond to violence, especially sexual harassment and violence in public spaces”. As local decision-makers gather in Dublin on the occasion of the 8th Biennial Forum of the World Alliance of Cities Against Poverty (WACAP), co-organized by the City of Dublin and UNDP, in partnership with UN Women and UNITAR, UN Women speaks with Lord Mayor of the City, Mr. Naoise Ó Muirí, who is committed to making Dublin a safe, smart and sustainable city. … a true Celebration! Dublin is the first city in a developed country to adapt and upscale tools and approaches of the UN Global Safe Cities Initiative[i]. 1) Why is Dublin interested in joining the Safe Cities Initiative? Dublin City Council has a strong commitment to promoting equality, combating discrimination and ensuring that the city is open and welcoming, a city of equal opportunities for all. We are delighted to sign up to the Safe Cities Global Initiative because we strongly agree that everyone has the right to use and enjoy public spaces in peace and without harassment irrespective of their gender as well as age, ethnic background, sexual orientation and disability. Freedom of movement is a basic human right and there are very positive linkages with Ireland’s recent election to the UN Human Rights Council; a great honour and responsibility for our country. Cities across the world face the challenge of violence and harassment but this is not to say that we have to accept this as part and parcel of urban life. Where women and girls feel threatened or are prevented from participating in all aspects of city life, including work, education, leisure and social activities or political and community activity then this represents a violation of their equal rights as citizens. There is evidence to support the idea that a city that is safer for women and girls is safer for everyone. Dublin has a very strong policy of opening up to the world, of developing links with other cities, of learning from them and sharing experiences, and we see this UN initiative as a key element in our internationalization strategy. There is an economic dimension to this; there is general agreement that there are three characteristics necessary for a successful and competitive city and these are expressed in the phrase “A Safe, Clean, Green City”. A Safe City is critical to attract residents, businesses, employment, investors and tourists. 2) Why is it important to address violence against women at the local level? The problems of harassment arise in particular public places, at particular times of the day or night or on particular public transport routes, and there needs to be local solutions to those localized problems. We will choose a location for the initiative that will include women who are in low income jobs and/or are disadvantaged, as these women and children are most vulnerable to such harassment. Of course there also needs to be policies and programmes put in place at city or metropolitan level and at national level and that is why we will have national representatives on our Working Group so that the city programme can influence national policy. We are adapting this Safe Cities Global Initiative not because Dublin is a particularly unsafe city, but because we want to be proactive, not complacent, and to put in place improvements where necessary. 3) Which organizations and partners do you expect to involve in the Dublin Safe City Initiative? We are putting in place a Working Group that will include representatives of women’s organizations including those whose remit is combating sexual violence against women and achieving women’s equality: An Garda Síochána (police), the Department of Justice and Equality, Mandate (a trade union representing service workers that has a large woman membership), employers, the statutory Equality Authority (its remit includes combating discrimination and promoting equality on the basis of gender), and of course Dublin City Council. Dublin has a clustering of leading hi-tech companies and we would like to engage with them to identify innovative and simple ways that, for example, women can participate in the initiative, report incidents of harassment, suggest responses and so on. We would see this as part of our wider project to promote Dublin as a ‘Smart’ or Digital City. 4) What initial steps will Dublin take to start the initiative over the coming weeks? We are honored and delighted that Mme Michelle Bachelet, Executive Director of UN Women and former president of Chile, will join us in Dublin for the 8th World Forum of Cities Against Poverty at which time I will make the official announcement of Dublin’s commitment to the Safe Cities Global Programme. Dublin City Council is co-hosting this Forum with the United Nations Development Programme (UNDP) and in partnership with UN Women on 20 and 21 February 2013. A significant element of this Forum will address issues of safe cities for women and children and this will give Dublin a great opportunity to learn from other cities and their experiences of implementing the Safe Cities Initiative. In implementing the programme, we will be following the detailed advice set out in the UN Safe Cities Guidelines document. [i] The UN Global Initiative at UN Women involves the Global Programme on Safe Cities Free of Violence against Women and Girls, which was launched in 2010 by UN Women in partnership with UN Habitat, municipal authorities, women’s groups and civil society. The first five pilot cities were: Quito (Ecuador), New Delhi (India), Kigali (Rwanda), Port Moresby (Papua New Guinea) and Cairo (Egypt). In 2011, UNICEF joined the effort, in a Joint Programme Safe and Sustainable Cities, involving eight additional cities: Beirut (Lebanon), Dushanbe (Tajikistan), Manila (Philippines), Marrakesh (Morocco), Nairobi (Kenya), Rio de Janeiro (Brazil), San José (Costa Rica) and Tegucigalpa (Honduras). 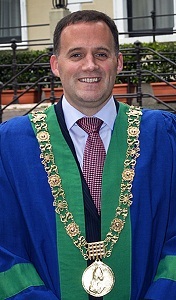 As #Dublin is hosting #WACAP this week, check out our Q&A with mayor @naoiseomuiri! She cited the progress made in Rio de Janeiro, Brazil, where communities are using mapping technologies to identify safety risks in 10 of the city’s high-risk slums, the favelas. “Safe Cities makes women’s full participation a priority because if communities are empowered today, if grassroots women can make decisions and co-operate with municipal and national authorities today, and if men and boys, and young people, are engaged in the Safe Cities actions today, then societies and communities can and will become safer – and they will stay that way,” concluded Bachelet. On International Women’s Day, 8 March, Silicon Republic launches Women Invent Tomorrow, a year-long campaign to champion the role of women in science, technology, engineering and maths. Watch this space! 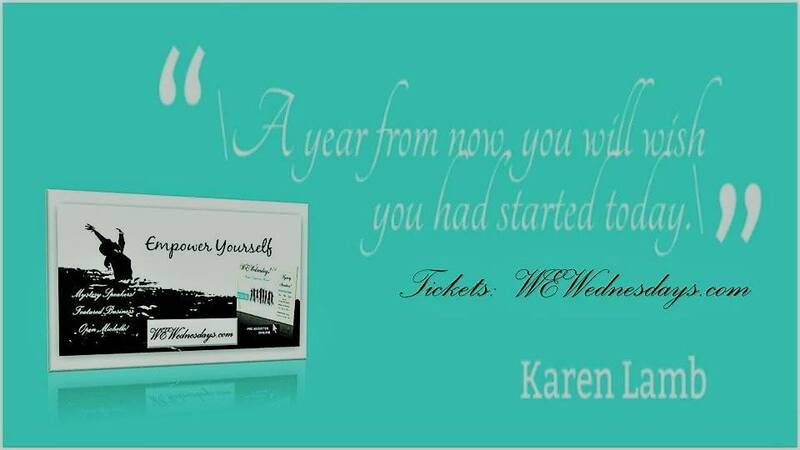 Ann O’Dea, CEO, Editor-at-large launching WOMEN INVENT TOMORROW. A co-founder of Siliconrepublic.com, today Ann is CEO, as well as sometime columnist and editor. After a long stint abroad in France and Italy, on returning to Ireland Ann worked for many years as a freelance technology and business journalist, editing for and conributing to a variety of publications, among them The Irish Times, The Irish Independent, Sunday Tribune and Business & Finance. She also contributed to Ireland on Sunday, IT’s Monday and Web Ireland (remember them?). Until recently Ann was editor-in-chief of businessandleadership.com and editor of Irish Director magazine, but is now enjoying reliving her youth as a geek.